Morf (Jake Gyllenhaal) is a renowned art critic. His reviews can make or break an artist, so his positive reviews are a must have for anyone hoping to make a profit off a piece of art. There are a few art galleries in the area, a few very talented artists, and people trying to make money off of all of them. One day, a young woman who works in the field discovers that one of her upstairs neighbors has passed away. He was a secluded old man, but was secretly a master painter who made thousands of incredible works of art, all just sitting unclaimed in his apartment. 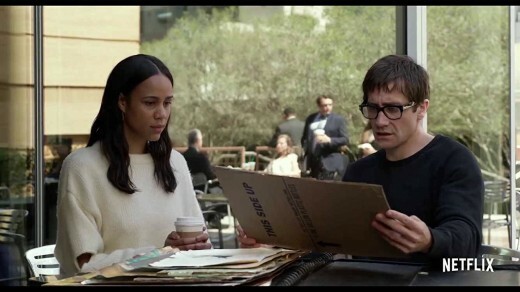 The young woman, Josephina (Zawe Ashton), is trying to make it in the art business, so sees the vast collection of unclaimed art as an opportunity. She takes the collection to her employer, who quickly jumps on the opportunity to sell the great works of art. The paintings are great and would be valuable if the artist was alive, but the recent passing of the artist significantly increases the value of every piece in the collection. Everyone is mesmerized by the dead man’s art, but Morf starts seeing and hearing things that he cannot explain. After a string of deaths, Morf discovers that the old man had been trying to destroy his paintings just before he died. They are great works of art, but may prove to be sinister to whoever has one in their possession. When the movie starts, Morf comes across as a pretty confident art critic. By the end of the movie, he is in a very different mental and emotional state. The paintings affect Morf in ways he does not understand. They also seem to affect him more than they affect everyone else. This makes Morf the most developed character in the movie, and Jake Gyllenhaal did a great job in the role. The character has a lot going on. We see him struggle with the lifestyle of an art critic, and we see the weight that he feels when his negative reviews impact the lives or careers of an artist. Although, most importantly, we see the toll that Dease’s paintings have on him. I do not want to give anything away, but this was an interesting character who was entertaining to see Jake Gyllenhaal sink his teeth into. He is a very talented actor and this was a character that gave him a lot to work with. Right off the bat, the movie throws a ton of dialogue heavy scenes filled with a lot of painter jargon. You have to be pretty committed to keep up with it, and I definitely found myself zoning out occasionally. I watched the movie with my girlfriend, and had to occasionally pause the movie so that we could discuss what we each thought was going on (I will pretend I was always right). It was just very dense and, while I get that all of the characters are deeply embedded in the local art community, the movie would have benefited from refining some of this dialogue. 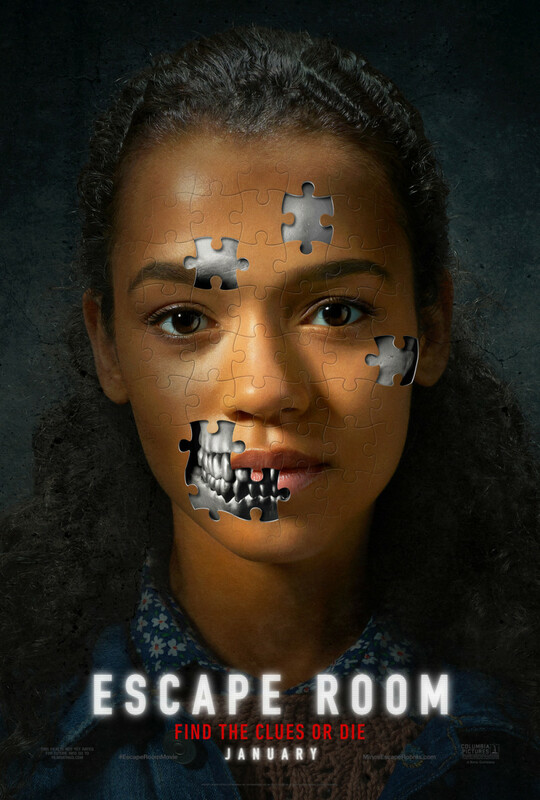 Most of it was not necessary and, while it was used to connect all of the characters, this could have been done other way (one which did not risk alienating the viewer). I liked the movie, but this aspect definitely could have been done better. 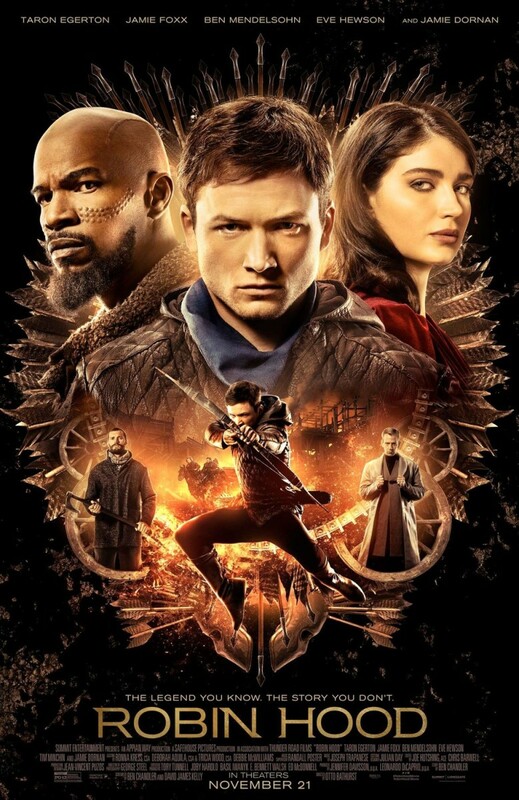 While I was not a fan of the dense dialogue, I thought the filmmakers did a really good job of setting up all of the characters in this movie, as well as their connections to one another. In a horror movie, the number of characters needs to be just right. There need to be enough characters for some to be killed, but there cannot be too many or filmmakers will not be able to properly develop them all. 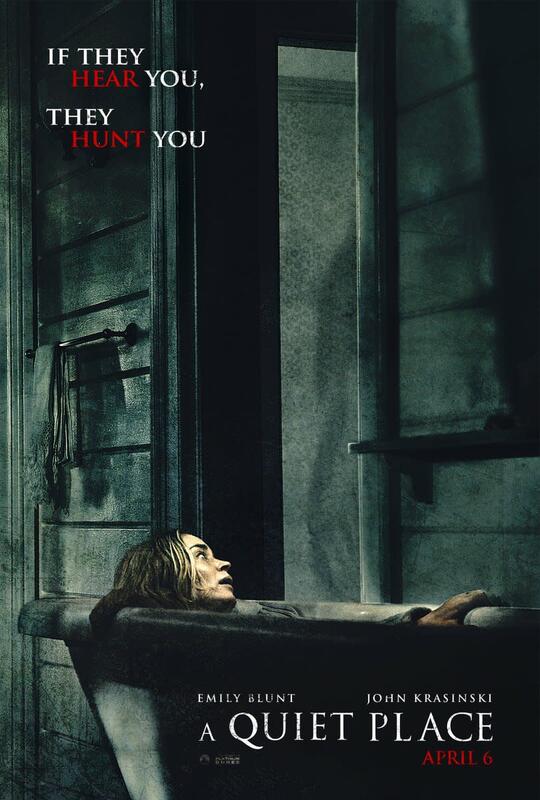 A lot of filmmakers struggle to find this balance (in horror movies especially), but the filmmakers of this movie did a really good job with this. Are there a lot of characters in this movie? Yes, but each character has their own personality as well as their own motives. Having so many characters with so many intentions could have made the movie feel chaotic and incoherent, but instead the filmmakers created a group of interesting characters that viewers will care about. Will the viewer want to see some of them die? Probably, but they will still be invested in seeing what happens to them. I have seen too many movies where the filmmakers added a bunch of nameless, faceless characters who are in the movie just to be slaughtered by the villain. I have also seen too many movies where the filmmakers had a great villain, but did not add enough protagonists (which limited the number of kills we got to see). 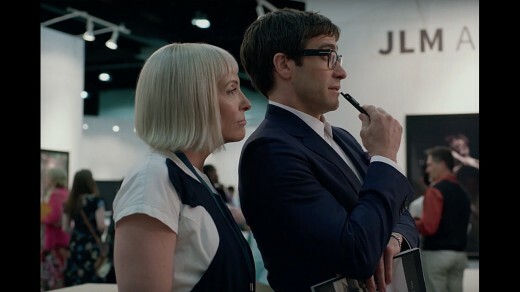 The filmmakers of Velvet Buzzsaw found the balance and delivered a collection of characters that will keep viewers engaged with the movie. I liked what the filmmakers did with most of the film’s characters, but I thought Piers (John Malkovich) and Damrish (Dave’s Diggs) were two that got lost in the shuffle. Both characters were artists on opposite ends of their careers. Piers was a successful artist struggling to find inspiration again. Damrish was an up-and-coming artist hoping to make a name for himself. John Malkovich gave his character a ton of depth, but left me wanting more. There was very cleary a lot going on inside this guy’s head, but the filmmakers did not seem to want to explore it in this movie. Both artists were uniquely captivated by Dease’s work, but this was something that was never explored either. I would have liked to have seen more from these two characters and would have liked to have seen more about how Dease’s art affected them differently than it affected other people. Maybe I am wrong in this assumption, but, while watching the movie, it felt to me like Dease’s art had a unique impact on other artists (a different impact than it had on non-artists). I liked both characters, but found them to be pretty underdeveloped. 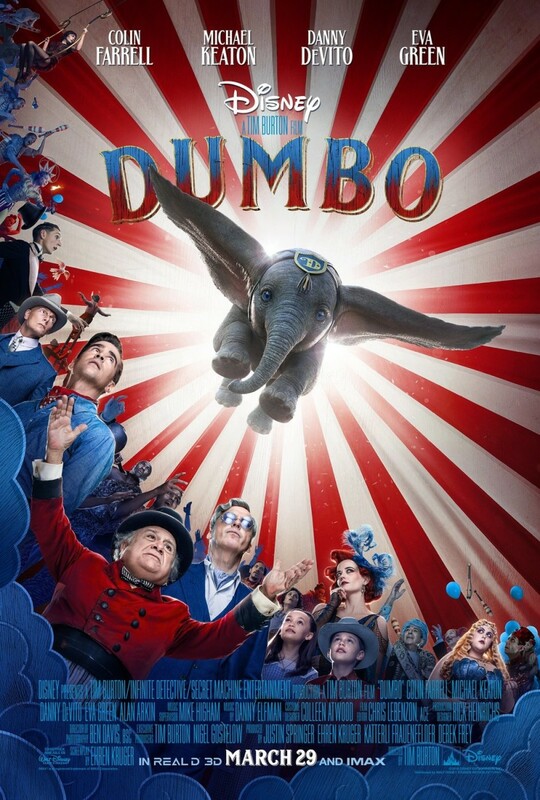 Maybe there is more to learn about the characters if Netflix decides to make a sequel to this movie, but in this movie, the characters got disappointingly little focus. This was a really neat concept. It was basically just like an episode of Supernatural, but felt fresh because of the characters. The movie was all about an artist named Dease who created paintings that seem to haunt other forms of art. The paintings then run rampant on a community of artists, art critics, and art producers. What we learn of Dease made him a creepy guy, and it was very entertaining to see what his art was capable of. The filmmakers did not make the mistake of trying to over explain the man behind the paintings, nor did they try to over explain what was causing the paintings to do what they were doing. The filmmakers hint at these things, but still maintained the mystery behind the sinister paintings, which made it a lot of fun to see the events of the movie unfold. It is the title of the movie, but the filmmakers went absolutey nowhere with it. 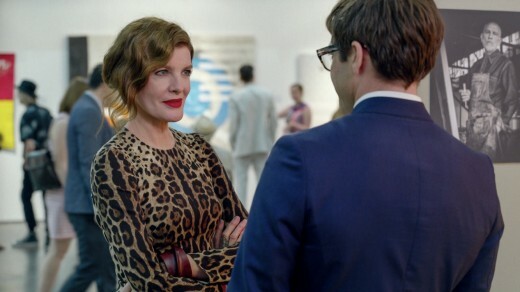 The characters touch on what “Velvet Buzzsaw” is, a collaborative work of art between Piers and Rhodora (Rene Russo) that made both of their careers. After that, it is never mentioned again (aside from a couple mysterious tattoos). Maybe I missed something, but Velvet Buzzsaw (the title of the movie) had absolutely nothing to do with the plot of this story. The few references left me waiting for the filmmakers to connect it in some impactful way, but that never happened. Ultimately, this does not significantly hurt the movie, but the filmmakers left clues that led to nothing, which was a little confusing and (albeit minimally) disappointing. 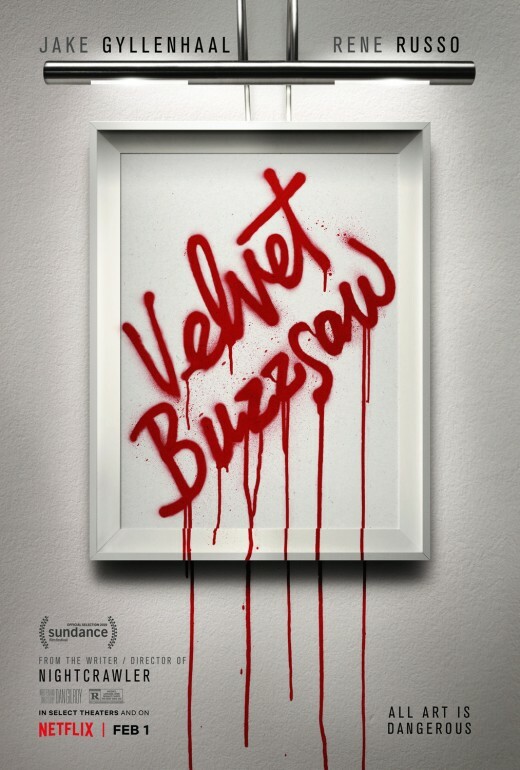 Velvet Buzzsaw had an interesting premise, with a strong cast, and interesting characters. Jake Gyllenhaal was given a character that he was really able to sink his teeth into. 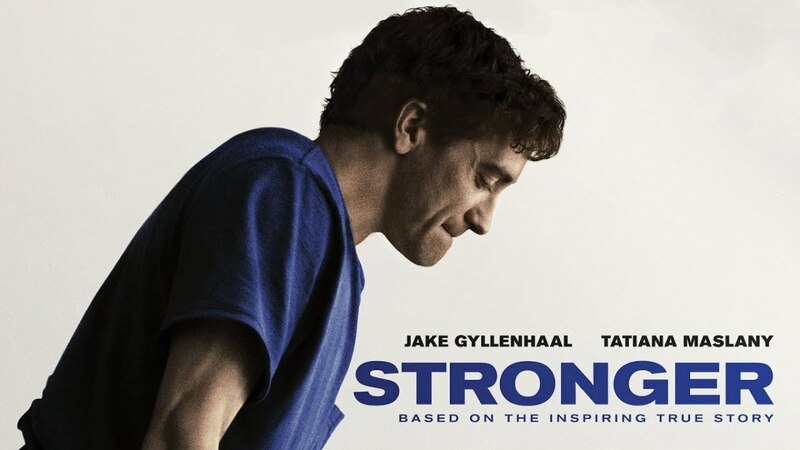 It was entertaining to see this character’s arc, and Jake Gyllenhaal gave the character the layers that he deserved. 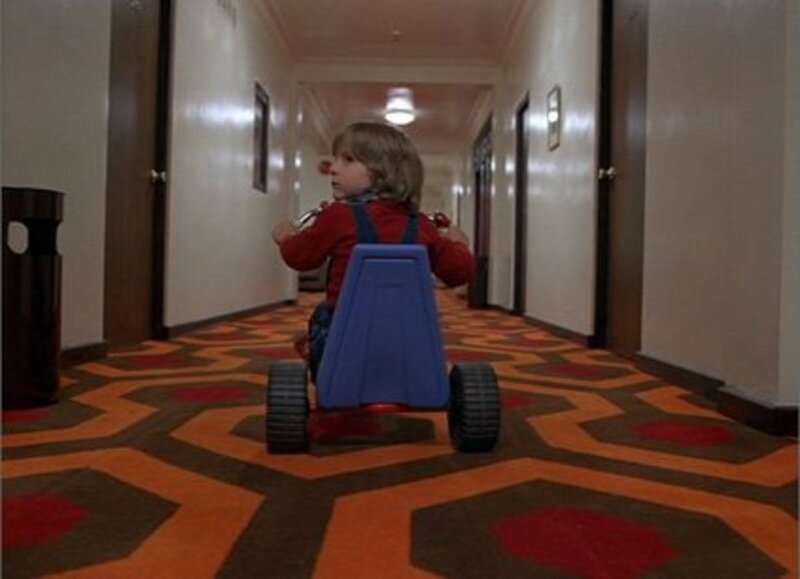 Too many movies (especially horror movies) struggle to find the balance of how many characters to put in the movie, and how much focus to give each of them. 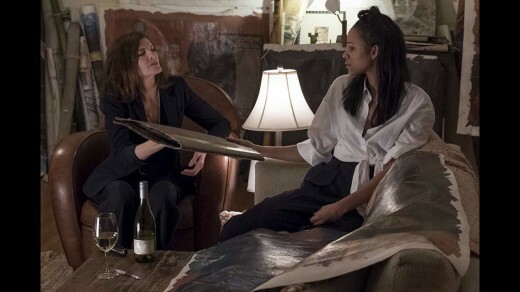 I thought the filmmakers of Velvet Buzzsaw did a great job of finding this balance, which created a group of characters that were easy to get invested in. Unfortunately, there were a couple characters that felt wasted (with Piers and Damrish), and the concept of “Velvet Buzzsaw” was something that was teased at, but ended up leading to nothing. The biggest issue I had with the movie was the scenes of heavy dialogue that were filled with painter jargon. It was not that I did not understand any one term, but there were a bunch of scenes that were filled with dense dialogue between two characters talking about their work (both people being familiar with the field). It was hard to focus on these scenes (especially considering there was never a benefit to keeping up with it), but I was able to get past this once the movie started moving. The movie redeemed itself once Dease’s paintings started affecting people. I do not want to spoil anything, but this premise was really entertaining. Was the movie perfect? No, but I had a decent time watching it.